Jobs in Chennai – Amazon Recruitment 2015 for Freshers – Apply Online. 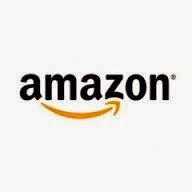 Amazon Job openings in Chennai for freshers as Device Associates position. BE, B.Tech, ME, M.Tech, MCA, M.Sc, B.Sc freshers are eligible to apply for this position. Interested and eligible candidates can apply online through the below provided link. Execute test cases prepared for testing Software builds on the Kindle platform and Kindle software products. Understand testing procedures and guidelines for new builds / releases.